Please read the qualifications for use carefully. If you meet the qualifications, proceed to the User Qualifications Form from one of the links below. Qualifications for Administration: Our parent, teacher, caregiver, and self-report forms are self-explanatory. No special qualifications are needed for administering these forms, beyond the tact and sensitivity that are necessary in all dealings with parents, teachers, caregivers, youths, and others. These forms require no more than 5th grade reading skills. They can also be administered orally to respondents whose reading skills are poor. When a respondent is asked to complete an ASEBA form, it is helpful to explain that the aim is to obtain a picture of an individual’s behavior as that respondent sees it. Any limits on confidentiality and the intended use of the data should also be explained to the respondent. Qualifications for Scoring: Hand-scored profiles and computer programs are available for each of our instruments. See catalog in PDF format for more information. Prior to scoring, each form should be checked by a person trained to follow our instructions carefully, including how to handle items that request descriptions of behavior. This quality control step is essential whether the scoring is to be done by hand, by scanner, or by key entry into a computer. The instruments can be hand-scored by following our instructions and using our templates. Alternatively, our computer programs provide instructions that can be followed by users familiar with basic computer procedures. Qualifications for Interpretation: The proper clinical and research use and interpretation of our materials require knowledge of the theory and methodology of standardized assessment, as well as supervised training in working with the relevant kinds of clients. The training required may differ according to the ways in which the data are to be used. Graduate training of at least the Master’s degree level would ordinarily be expected. No amount of prior training can substitute, however, for professional maturity and a thorough familiarity with the procedures and cautions presented in our Manuals. We require all first-time purchasers of our materials to furnish evidence of their qualifications by completing a User Qualifications Form in MSWord® or PDF. Additional Qualifications for use of the SCICA: In addition to knowledge of the theory and methodology of standardized assessment, administration of the SCICA requires supervised training in clinical interviewing of children and adolescents. 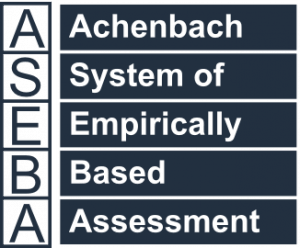 Our standards are consistent with the Standards for Educational & Psychological Testing (1999) endorsed by the American Educational Research Association, American Psychological Association, and National Council on Measurement in Education. Users are expected to adhere to the ethical principles of the American Psychological Association, National Association of School Psychologists, American Academy of Child and Adolescent Psychiatry, American Academy of Pediatricians, Child Welfare League of America, or similar organizations. We require all purchasers of the SCICA to furnish evidence of their qualifications by completing a User Qualifications Form in MSWord® or PDF.